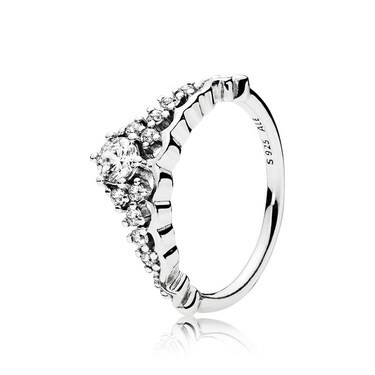 Add a touch of fairytale magic to your look this season with this sparkling tiara ring from PANDORA. Elegant worn alone or will look beautiful stacked with the matching Fairytale Sparkle Ring or an eternity band for a luxurious layered statement. Hi! What size is this ring? Do you have a size guide or more than one size? Thank you very much!